Creativity, like love, is a general term, with a different meaning to each individual. To me, creativity is a gift which nature offered to humans to help them explore and evolve in all aspects of life. Being creative means being able to make unusual connections between disparate pieces of information. The outcome is an idea which has to be evaluated as being original and surprising first, by the creator herself and secondly by coworkers, supervisors, investors, patent examiners, consumers, audiences, etc. In the attempt to make sense of the creative process, researchers identified the following five stages: preparation, incubation, insight, evaluation and elaboration. In reality, the generation and selection of a creative idea is not such a straightforward process. The depth and number of iterations between stages differ depending on the creator and the creative task. It can happen that a creator is in the elaboration phase when new insights emerge or when she finds herself in a creative block. To get insights into the uniqueness of the creative process, I started interviewing successful musicians, entrepreneurs and scientists. 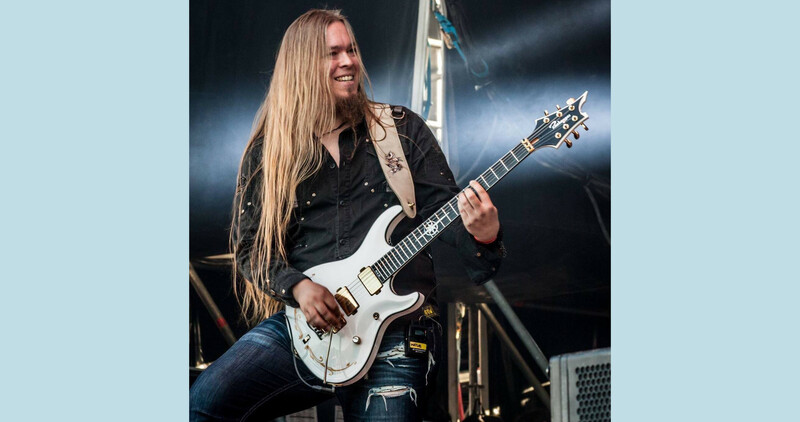 The first musician who was willing to share his creative world is Matias Kupiainen, the Finnish guitar player, composer and producer in Stratovarius. About 10 years ago when Matias joined the power metal band as guitar player, he started taking the composer role as well. To date, Matias has around 32 million streams of composed songs. According to his calculations, a new album requires 10,000 working hours of constant work, for almost 18 months. The interview consists of four parts: 1) Matias’s creative process, 2) creative outcomes in other fields, 3) external and internal sources of inspiration, and 4) intuitive belief. Oana: I’d like to start by asking, what would you say are the best qualities that help you do the best job in the role as a composer? Matias: I’m really motivated. I take composing as a work. It’s something that I try to do, not everyday, but when I have some time, I try to do some new materials. Sometimes, I fail miserably, but sometimes, I make one minute of music in one day. So, it’s like an ongoing process all the time. Oana: What would you say it’s the ratio of failing to succeeding in making one minute of music? Matias: It depends, I would say like 70/30. If I succeed to make one really good song, I have to fail on 10 before that. But the material that comes from the failed 10, I can use it later or modify it so the material never goes to waste. I recycle it. I would say it’s a long process. Sometimes, just to make a 3 and half minutes song might take me a month. Or sometimes, to make a ten minutes song, it takes me two weeks. It depends also on what kind of inspiration I have or if I have a clear vision of what I’m doing. Usually I have no clue of what I’m doing. Oana: It’s great you mention about the vision of what you’re doing. Would you like to tell more about when you do have those moments of vision, how do they come up in your mind? Matias: It’s more or less when I’m capable of imagining or seeing the big picture of how the ending should sound and what are the parts that I need to have. For me, clear vision, it’s not a clear vision. Let’s say I want to paint a scenery … You make the big lines really blurry quickly and what it takes most of the time is doing the small details. Just to make the background, can take one day but polishing it and making the details right, that might take me 3 weeks. This is the kind of work if I have a clear vision. But usually I don’t have. It’s just like I’m trying to make a big line there and there… I’m doing the details already even if I don’t have the big lines. That kind of work is successful if you’re thinking you’re using lots of time to make details which are not actually part of something big. Oana: When you fail, who decides if it’s a failure? Do you share your creations with the group? Matias: I’m the first moderator. If I’m thinking this is an ok song, then I present it to the rest of the band members. But usually this means that I need to make the 10 songs first before I present. And then we can discuss later if it is good enough. This is the second layer of moderation. And we hire the third person who is not related with us at all. When we are doing an album, we have 15 or 20 or 25 ready songs and the third person listens and then he ranks them. He doesn’t have a clue who is the composer. So it’s anonymous. We get the data. He likes this and he liked that and he hated that one. We then have to choose within the band. I, as a producer and then the third person and we can actually decide what gets to the record. Oana: Who is this third person? A music critic or a fan? Matias: Usually somebody who has been doing lots of records, who has basic knowledge of how this works. It’s someone who has some knowledge especially about metal music. These people who have been making records know that the demo material can be very rough sometimes. They know what happens when we go to the studio, how the quality is rising by the different techniques used there. The listener is the ultimate moderator. The listener chooses if this is a good song or not. But the thing is also this that we cannot make music just for the listener. Then usually you just start to think about what would this person like? And then when you start in that kind of perspective, usually you fail miserably. So, we actually have this kind of saying in our work collective, “What would Carlos like?” Carlos is a typical Mexican, maybe 26 years old, coming from a bad background but loves metal music. And Carlos is the dude who is in the front row. Carlos likes really simple stuff. You have to remember he doesn’t speak that much English because he lacks education. So, we are all thinking, does Carlos approve? We call it Carlos factor. But of course, Carlos is the fourth moderator. We are thinking about it but Carlos factor is the least that we are worried about. Carlos is our main client. And then it’s really important when writing lyrics. We try to keep it super simple. So all kinds of listeners can also understand our message. In this case, Carlos factor is super important. Musical approach doesn’t matter that much, but with lyrics it’s very important. Composing is actually really hard work. It has nothing to do with romanticism or what my heart is telling me. I have lot of friends who are professional composers. Nobody is actually doing a free composing work just because my heart is telling me. This is really rare. Oana: What happens when someone is ordering music? Matias: There are always guidelines. I need to have a piece of music for this kind of orchestra. I have also friends in my company who are doing lots of trailer work for Disney or all the big movies. How they do it? They have a demand. The agent is telling them, Ok there is a new adventure movie or there is a new some hero movie. We need to have some action stuff. Make me 25 trailers and it needs to be done within one month. Do it. One trailer gets there. That’s how it works. Nobody is actually just doing something and oh this would be really nice and then, oh I got lucky. It’s not about luck. It’s hard work. Oana: So, what you’re saying is that you are having some constraints and a playground where you are composing? Matias: Yeah, the guidelines are there always. Of course, you can have some ideas out of the box thing but then we have to go back to your background and build it there. Oana: What is creativity to you? Matias: It’s really hard to actually try to explain. For me, in composing work, it’s more or less is that I go to work and I hear melodies in my head and I am able to write them down. That’s my creative process. Everything else is really technical approach or something I have learned in school. It’s a more or less I hear one thing in my head, I write it down and then what I’m doing, how I am constructing the whole song together, the more technical approach. It has nothing to do with creative. The only thing is the simple melody in my head and that’s my creativity. Oana: When would you say it was the first time when you heard this music in your head? Matias: It must be already when I started playing guitar years ago. But I harnessed that power 10 years ago when I knew that today I have to go to work, which is composing. So then I was trying to concentrate more to have some ideas and then to listen to myself to find those ideas. You cannot find any ideas if you are listening to radio pop in your ears or having a phone conversation. It doesn’t work like that. You have to listen to yourself. I think it’s more or less in every aspect of artistic careers, they have to listen to themselves and not to be interrupted because that’s the only way to be creative. Oana: If you compare your perception of a creative person now with the perception 20 years ago, do you think that the 20 years ago perception was any different than the one that you have now? Matias: Sure, it’s very different. Twenty years ago it wasn’t my main job. OK, the composing is not my main job now but it’s one of my jobs. Nowadays, it’s a bit more difficult for a musician to have the income from doing just one thing. For me, the guitar playing is not paying my bills. I have to do also many other things on top of it. The music industry is changing drastically because of internet and other stuff like that. You have to be creative in that kind of manner, you have to be able to get income from different kind of sources. Oana: The last question of the first part. If you had all the money in the world, what would you do? Matias: I would play guitar and compose. I would not do anything else. Oana: We are now entering the second part of the interview where I’d like to inquire about where you personally see the traces of creativity in other fields. What are the areas of life where you see the outcomes of creativity? Matias: First thing I see is with my kid. She always likes to invent and that’s always creativity at the best. She can create and imagine stuff. Then in adulthood, of course, if you are a painter, you have to have a vision. But I would say even though you’re doing creative job, 70% of the actual job is technical. It’s rare to see somebody in this creative process. Usually that happens when the person is alone. Oana: What you just said about the creative process being a lonely job reminds me that creative individuals describe having flow experiences, which are optimal experiences where you lose the sense of self and time. Do you have this kind of experiences? Matias: Yeah, actually, when I’m at the best is night time. I don’t know why. I have been trying to do like 9 to 5 or 10 to 6 but it doesn’t work. (laughters) Usually you’re sipping coffee the whole day. But during night time, yes, actually it happens. When you are alone and you’re talking to yourself. Then you realise it is happening. You have to act fast because you don’t have so much time. This is going to be gone in 2 hours. It’s like catharsis kind of thing, you raise above and you know that ok, now you have to do it because then it will be gone in a couple of hours or even in 30 minutes. You don’t know when you’re gonna lose it. And then you have to do it and do it. But it happens not so often, maybe once or twice in a year. But this is kind of like a maniac. It’s not a disease but when you get into it, you are really maniac about it and then you just have to do it. Oana: Outside your field, do you know other people about whom you think, “Wow, these people are doing something creative or innovative!”? Matias: Yeah, actually I know and I am admiring people who are pulling it off. I have a good example, this Chilean friend who had basically nothing when he came here to Helsinki. And I rented a small 2×2 warehouse kind of thing and he was building pedals. Now he is running one of the biggest pedal industry in the whole world, 3.5 million net last year. He made it in less than 10 years. He had a clear vision of what he wanted and he executed it. It was on the long-term what he wanted to do. I don’t know. Does it have to do anything with creativity in this kind of case? Yes it has, you need to have a product and you need to be creative to do the actual product and you have to believe in your product. You can’t sell just nonsense. But when you have the product ready and have to sell it, then it’s more like business and technical approach again. And of course, you need to be lucky. The product development is the creative, artistic process. Sure. Oana: We are starting the 3rd part of the interview, external and internal sources of inspiration. Inspiration is a big part of the creative process. I’d like to ask your point of view, your perspective, though. What do you do, if anything, to get inspired? After you get the demand to write a song, what do you do after that? Matias: Let’s say somebody is calling me, “OK, we need a song”. The first thing that I need to think about is the group or what is the audience or genre. Usually I approach it first with a technical approach, I go through what they have done in the past and I think what is the next direction and what I can do there. And then, I will go through each player and then the main thing is the singer, what is the range and where I play the vocals. These are the strict guidelines. Then it comes the creativity with the strict guidelines. Oana: In other fields, like writing or doing research, experts get inspired from reading other people’s work. What about you? Do you listen to other genres of music? Matias: Yes, we actually talked about this. It’s the out-of-the box kind of thing. I listen to lots of music which is not related to my music. So, I try to find something which inspires me from there and then … stealing is not the word … You take what you like about it and then you mold it up until it’s your own. And in music business this is how it’s been for centuries. You take something that somebody made and you mold it and present it as your own. There’s no such a thing as original song nowadays. Everything has been done already. But anyway, I listen lots of core music and stuff like that which is not even close to what we are doing. Couple of years ago I heard an Icelandic hymn from 14th century or something like that. Then I took, moulded it and then it took me 3 days to compose a 12 minutes song ‘cause I had so clear vision. I took the theme, moulded it and put it and I knew exactly what I will do with this song. And it’s a super quick process to make the big guidelines. Three days and it was done. And then, maybe I added 2 days to make the details right. But that was inspired by an Icelandic core music from 700 years ago. “… in music business this is how it’s been for centuries. You take something that somebody made and you mold it and present it as your own. There’s no such a thing as original song nowadays. Everything has been done already. Oana: Other than being exposed to other genres of music, there is another aspect to being inspired. Researchers found out that we are more likely to be inspired when our brains are in a certain relaxation mode. Do you do anything in your day with the specific intention to put your brain in a relaxed mode? For instance, mindfulness meditation or yoga could help with that. Do you do anything like that in your daily life? Matias: Not really, no. Actually, what I could compare with meditation is when I am practicing guitar playing. This is like other aspects of being creative. When I am playing guitar, at least one hour is technical approach. Maybe then I can switch off thinking about the technical approach and I just play. And sometimes I find something really what I like and I can do based from that. That’s the closest to meditation because then I can actually put my brains off. But in other manners, no. Oana: You have a family. Do take time to disconnect from the world and go somewhere with your family? Matias: I’m really workaholic and my wife knows it. Now with kids in the house, it’s more complicated to be creative. They occupy a lot of your time. On top of this I’m travelling a lot for my job. It’s also taking lot of time. When I’m travelling it’s stressful. We have to wake up at 4 o’clock in the morning and you have to be able to play the show at midnight in the same day. You’ve been awake for 18 hours before you even can start to play the show. You don’t sleep, bad food. It’s always like this. It’s almost impossible to be artistic or creative on the road. And then when you come home it’s play time: “Come to my room, I want to show you my shop.” But yeah, I usually go to my rehearsing room or somewhere else if I need to have some peace and try to approach it as professionally as I can, move everything from my mind away and just focus on one thing and maybe I get something done. Or maybe not. Oana: The last question from this third section is about other domains of life that you might be interested in, other than music. Is there something else that attracts you whenever you have some free time, like reading about how they build rockets? Matias: When I have nothing to do and I don’t work, then I do the random wikipedia articles. It’s actually nice, you can put random stuff and then you read facts. And sometimes you get really cool facts and titles from there.I take a cool title to my scrapbook. Maybe I use it as a song title. And then I like to cook. Oana: I’d like to go back to the scrapbook. Is it a notebook where you collect ideas? Matias: Yes, I put there drafts of lyrics and working titles. Then while watching a movie or TV series if there’s one good one liner, I took it and put it in my book. There’re maybe 100. Of course, I will never use 99.9% of those. But it’s something I’d like to work on all the time. Or if there’s a really cool story I found in Wikipedia or cool history then I just put the links there and check it later. Oana: So, you get back to the scrapbook later. No joke. This is what is used by most people who do the lyrics. I don’t consider myself as a professional lyricist. If I’m doing lyrics, I have rhymezone and some other rhymes.com open so I can check all the time any ideas. And there’s lot of sites with poems with your keywords. Let’s say I’m working with a title, I put the title there and I try to find poems. Sometimes you get super good matches and I take that, mold it and write it as my own. Oana: Who is writing the poems? Matias: It’s a collection of the whole world poets. Oana: We are entering the fourth and last part of the interview on the role of intuition in generating ideas. What is intuition to you? Matias: For me, it’s just a feeling of something. Like we already talked about going out of your body experience when working. Intuition for me is that kind of thing, I have an intuition, ok it’s coming now, I have the intuition I have to go to work. Oana: Do you believe in this feeling? Matias: In my case, it actually starts that I know I have a small idea. And if I’m working a bit more, that’s actually the intuition. I have to think a bit more. And then it might lead to psychosis of work but usually it doesn’t. But I must be clear that the intuition is never alone, it starts from something. It starts from an idea. Without this idea, I never have the intuition, “ Today, I’m gonna …”. Oana: And where is the initial idea coming from? Matias: It can be anything, like a couple of words or I have a melodic idea or while playing guitar I find, “oh, this is actually interesting”. Oana: And the last two questions. First, why do you do what you do? Matias: Really hard question. Honestly I cannot answer. I know what I need to do. Sometimes, I don’t want to do it. I try to approach my work as professionally as I can. Then I know I have to play guitar, I have to be prepared. Usually then I go to my rehearsing place to do proper noise. For me, to be in an isolated environment where nobody gives a damn about what you’re doing. That’s important. And when, using public transportation, I usually have my ear plugs on but I don’t listen to any music. Just isolate myself. That is the best place to get the intuition and have the artistic vision. Then when you’d not listening to anything, it’s the best part. I know I have to get off the bus in 30 minutes. That’s the best place to be and have the vision or small melodies in my head or what not. Oana: Interesting. And it has to be in a public transport because you’re on the move? Matias: If I’m in the car, then I’m thinking too much. You have to be able to switch off so you are not thinking anything else but, “Ok, I go to work and I have an idea”. Most of my songs, the main melodies and the lyrics are written in a bus or a train. I isolate myself with the ear plugs and then I cannot hear nothing else from other people. Oana: It’s amazing, Matias. Summing up, you are sitting a lot in the bus, you work hard and are motivated. Matias: Yeah, also you need to be multi-worker nowadays because it doesn’t pay the bills. I noticed in the past 10 years that composing can pay part of my bills. And then it’s not like big thing, maybe ⅓ of my income it comes from the composition I have done so far. And then these compositions are something nobody can take away. It’s something you did once and then if you succeed you may get a hit song that’s gonna be played in the radios for the next 100 years. And then you get like steady income from that. Oana: And the last question. What are the happiest thoughts of your career, so far? Matias: It’s a really good question. Of course, I had many good moments. The funniest thing, I was laughing on stage like in this super weird mental state almost 10 years ago. The first really big show that I played when you have 75,000 people in front of you and then you put your hand like this and everybody does it after you. That’s a weird feeling. You actually have power, you put your hand up and 75,000 people follow you. And then the first 10 minutes I wasn’t able to play guitar because I was laughing. It was so funny. That’s like really odd situation. I don’t know if it’s a happy moment but it’s like something I remember because it was so weird like actually I’m doing this. Like why? And then, in moments when you have been working on a song or album for long time and finally you get it ready. It’s super big relief. Finally, it’s done! I calculated few years ago that making an album it’s basically 10,000 working hours. So, for me it meant I have to work constantly almost 18 months. 24/7 working for 18 months. That’s the time it takes. Oana: Thank you, Matias, for an inspiring interview. I’ll follow your music with interest. In Autumn 2018, doctoral students at the Faculty of Medicine, University of Helsinki, had the opportunity to attend the course Creative Scientists – Path towards breakthrough ideas, a series of workshops aimed at stimulating their creativity and enhance the quality of their research. For a short presentation of the course, you can watch the video. For details, you can read the blog post. For decades, Dean Keith Simonton researched creativity in science and concluded that creative performance is a matter of both nature and nurture. The nature aspect tells that outstanding performance is a combination of personality traits. The nurture aspect rests upon the assumption that every person has creative potential, which can be developed through education and training and influenced by the socio-cultural environment, the “spirit of the time”. This perspective prompted the design of this course. Boosting the creative thinking can help, by shifting perspective on what researchers know, which can ultimately point to novel problems to focus on. But first, researchers need to acknowledge their creative potential and engage in activities that can help them fulfil their potential. Creativity was defined as the ability to make unusual connections in order to come up novel and surprising ideas. To train the creative potential of the students, the course had three goals: 1) to increase task motivation awareness; 2) to boost problem finding skills; and 3) to embrace a creative attitude in everyday research. From the moment when an idea buds in the mind till the moment when the idea is ready to be communicated to peers, there are five stages: preparation, incubation, insight, evaluation and implementation. Preparation stage is about getting immersed in the knowledge pertaining to a particular interest. Incubation stage is about relaxing the mind and allowing the brain to passively work on the problem. Insight is the “Aha!” moment when the idea comes to the surface of awareness and we feel impelled to act upon it. Evaluation is the most painful stage when we make a self-evaluation of the insight. What would others think of it? Implementation is about deciding on the practical steps of bringing the insight to life and about being motivated to work hard. Each stage involves specific cognitive and affective processes . Being aware of these processes can help you manage your creativity for the best outcomes. Motivation is an energetically demanding brain function and hence a limited resource, so it is important to learn how to use it wisely. For example, on a timescale of seconds to hours, getting motivated to apply for a scholarship can temporarily deplete the motivation to carry on with problem-solving tasks. Therefore, researchers may benefit from developing regular work habits to monitor and adjust their level of motivation such as establishing cues to judge whether they are above or below the optimal level of motivation for a specific creative task, as well as identifying activities that enable to rapidly change the level of motivation (e.g., mild exercise, short walks, or meditation). Openness to new experiences, such as getting exposed to information from different fields can lead to cross-training which seems to be very important for creative performance. Recent examples of cross-training are the film-maker Kris de Meyer and the comedian Ori Amir, two neuroscientists who initiated artistic projects where they could apply their scientific knowledge, stimulate their creative thinking and develop new interests along the way. Intuition can trigger the curiosity to new experiences. “What if we can make the immune system better attacking cancer by temporarily disabling the breaks, basically keep the immune system from turning itself off? “ asked himself James Allison, 2018 Nobel Prize Winner in Physiology or Medicine. It was a controversial question among his peers but by further exploring it, Allison understood how proteins on immune cells can be used to manipulate the immune system to attack cancer cells. Hypothetical thinking opens the mind up to new possibilities. What if people had three eyes instead of two? What if you told a story about your research to a 7 year old? Hypothetical thinking starts from simplifying your story, challenging assumptions and envisioning positive endings. Inspiration plays an important role in the preparation and incubation stages of the creative process. Neuroimaging studies show that people are in an open and receptive state just before the moment of insight. Openness meditation is an example of an activity you can try to put the brain in an inspired mode. Unlike other types of meditation, openness meditation taps into divergent thinking, which allows the generation of many new ideas. Receiving criticism can discourage you from experimenting with new ideas. Learning how to listen to all sorts of feedback from different kinds of people is fundamental for your creative growth. Emotional attachment to your ideas can sometimes be a barrier to constructive learning, so it is important to grow awareness of your emotional reactions in order to understand the objective value of feedback. It may be wise to take a few days break before deciding how to improve on the idea. So far we discussed how to boost your creativity in the first four stages of the creative process. Let’s move to the last stage: implementation. At this point in the creative process, you are required to adopt an experimentation attitude. This stage takes most of the time and hard-work and it may be what Edison referred to when he said that creativity is 1% inspiration and 99% perspiration. Embracing the experimentation attitude means accepting failure as an inherent part of the process while developing pretotyping skills. Pretotyping is about taking emotional and financial risks to do tests and pitching your project to individuals who might be able to help. Before running marathons, we train our endurance. Before exams, we diligently examine the required reading material. We count on endurance and learning to help us achieve exceptional performance. How about counting on creativity to come up with new knowledge to the domain of expertise? By developing a habit out of monitoring their creative process, researchers can enhance their creative thinking skills to achieve breakthroughs. The course was designed and facilitated by Oana Velcu-Laitinen. I’d like to express gratitude to Chiara Facciotto, Vincenzo Cerullo, Karina Barreiro and Hazem Ibrahim for supporting and brainstorming on the concepts covered in this course. Special thanks to the Doctoral Program in Biomedicine, at the University of Helsinki, for believing in the importance of developing the creative potential and sponsoring this course. 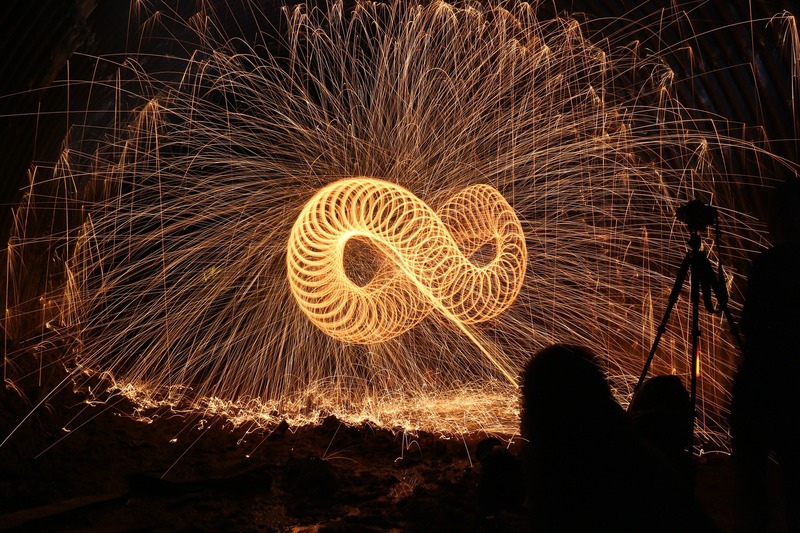 http://www.velcu.fi/wp-content/uploads/2019/02/steelwool-creativity_science_DPBM.jpg 1280 1920 oana http://www2.velcu.fi/wp-content/uploads/2016/12/Oana-icon.png oana2019-02-18 11:29:202019-02-21 16:32:00Creativity in Research: Why, What, How? Because we have days when we don’t see the impact of the work we do or when we don’t get a confirmation of it, it doesn’t mean it didn’t happen. We might just be in a mood that messes with the quality of our thinking. Maybe it’s time to take a break, i.e., meditate, take a walk or a nap. Purpose guides our behaviours unconsciously. The more we are aware of what drives us, the more we can align our goals with our behaviours. As a result, we take actions that bring the feeling of fulfilment. When it comes to professional purpose, one way to become more aware of why we do what we do is to think of the impact that our work has on colleagues, clients, suppliers, family, society, etc. And yet, as much as we become conscious of the value of our work, use affirmations and surround our office walls with empowering sentences, moments of emptiness and professional purposeless are to be expected. I have moments when I look into the eyes of the individuals I work with and have no clue if my hard-work is helping them. We need words of appreciation or any other kind of feedback to be able to assess the impact we hope to bring. When in doubt, it’s good to remind ourselves of the past validations and say to ourselves, “Well, I did say something at some point in my past when I saved someone’s day.” And allow ourselves some rest. It will be a better time to keep on aiming at doing a good job.